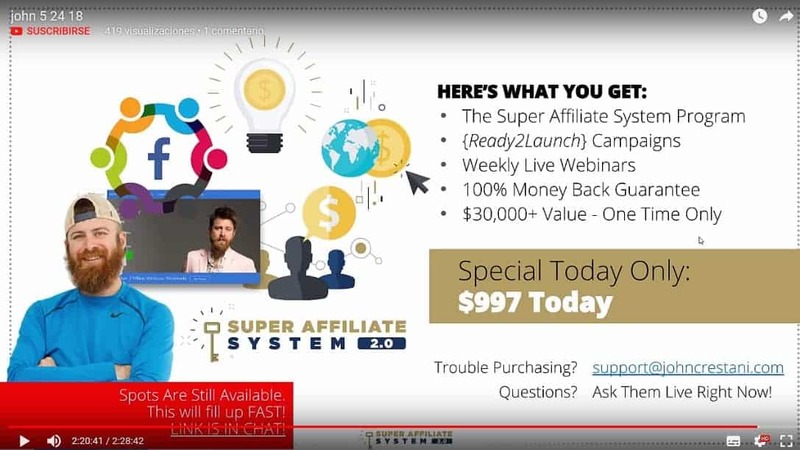 With the SuperAffiliateSystem 12-Week Course upgrade, you will get access to an additional 120+ hours of video content from myself, going over how I've used ads on Facebook, Google, Youtube, and native ad networks (online newspapers) to accelerate my online business growth. Basics of affiliate marketing & paid advertising - I work on explaining the concepts of affiliate marketing, and paid advertising, as clearly as possible. There are many systems involved in being a paid ads affiliate, so a simple top-down look at things is important to learn your place in the ecosystem. The right blogs, forums, people, and materials to surround yourself with - Surrounding yourself with the right influences is very hard in todays world. I go over all of the sources I have used, and continue to use, to get the right information for being a super-affiliate marketer. Why Promote Nutraceuticals? - An outsized proportion of my affiliate marketing revenues/profits came from promoting nutraceutical offers (weightloss, skincare, muscle, ED, etc niches), so I discuss and make a case for why this is such an amazing niche for affiliate marketers to promote. The technical skills you will want to start learning - Part of being an affiliate marketer using paid advertising is that you end up working with a lot more systems generally. Knowing WHAT skills you need to learn is incredibly important. I spent years of my life learning various skills, but I make it a lot easier by outlining exactly where you should put your focus. Understanding user intent - My specialty is paid advertising, and within paid advertising, I would say that one of my big advantages is my understanding of user intent, and how to target users that are just about ready to buy. I explain everything in this particular video lesson. How to setup your domain/hosting/clicktracking/postback pixels - This is the most core part of any affiliates' technical setup. Your clicktracker will become your main point of contact and analysis for all of the ad campaigns you are running, and postback pixels are the basis of all tracking for affiliates using paid advertising. I go over theser topics in-depth, so that you can implement the setup that makes all the magic possible. Getting Voluum working with the Clickbank affiliate network - Clickbank is a particularly important affiliate network, with a slightly different setup than others'. Jetset is hosted on Clickbank too, and I go over exactly how to setup postback tracking for Clickbank offers, so you can even advertise Jetset if you wish. How to work with your affiliate manager effectively - Affiliate managers are one of the most under-utilized sources of information for affiliate marketers. Most affiliates dont know how to properly work with them, but I show how I've been able to use them to make a lot more money, and gain big advantages. A Simple, Works-Everytime 17 Step Story Format - That not only gets people to buy your product, but will have them sharing your story with their friends. I use this format to write my ads, my landing pages, and entire marketing campaigns. This format is actually the story 'template' that has been engrained in peoples minds since mythological times, and it is the story format used in the Bible, the Bhagavad Gita, and the Koran. How to write advertorials - Advertorials are one of the most trusted formats for advertising in existence. No matter WHAT is being sold, advertorials do the best job of marketing the product in every single instance I have found. My super simple research process that almost eliminates chance of failure - Its no secret that I base my advertising off of tried-and-tested 'controls' that have already been proven by other marketers to work. I show you my entire process, step-by-step, so that you can apply the same techniques in your marketing. How to find, and rip landing pages - Pre-sell, or landing pages are one of the most important parts of a marketers arsenal. Your landing page is your digital salesperson, that turns a mere browser of the internet, into a paying customer -- and profits in your bank account. I show how to find the right landing pages, and how to rip them, so you can use them as a 'control' in your own advertising. How to properly research, and destroy a competitor - I am absolutely RUTHLESS when it comes to copying marketing campaigns. Unbelievably ruthless. If I want to enter a new market niche, I dissect EVERY SINGLE PIECE of a competitors marketing, and I never fail to become profitable. I walk you through my process. How to identify click fraud, click loss, etc - Fraudulent impressions and clicks are probably the biggest problem in all of online advertising. In this section, you will be learning how to pro-actively remove placements/widgets/etc that are producing large amounts of fraudulent activity. How to split-test & optimize ads correctly - Split-testing is an art, not a science. Knowing how to most effectively test headlines, body copy, formats, colors, devices, and calls-to-action effectively is one of the most wonderful skills to learn, as it will make your trial-and-error process for finding a winning ad immensely shorter. How to increase profit margins on campaigns - I show you all the different levers you can use in your advertising to adjust your profit margins at will. Once you've figured out advertising that works using my failproof methods of research and swiping, you'll now be able to determine your profit margins simply and easily. Why people fail in affiliate marketing - Its a fact; many people will fail at affiliate marketing. Being aware of the reasons people fail in advance will help you prevent them from happening to you, and ultimately increase your chances of success. Many educational programs do not want to touch on this touchy subject, but success is hard to achieve, and I want to give you the best chance possible. Maintaining focus and productivity working from home - Many of the problems of being an entrepreneur begin and end with your attention span. Lack of focus is the #1 killer of many entrepreneurs' businesses, and knowing ways that you can prevent the same 'opportunity hopping' to occur to you will help your success. How to leverages others' success to fuel your own - Masterminds, JVs, and affiliate accountability teams will help you become successful MUCH faster. Humans are social creatures, and extremely motivated by competitive instincts. When you start surrounding yourself with a competitive peer group that motivates you, success is a natural byproduct. The 3 programming languages you need to learn - In these step-by-step tutorials, anyone can easily learn three programming languages in 3 days. With the advent of WYSIWIG website editors such as Clickfunnel, knowing programming isn't very important, however spending time going through these tutorials will put you lightyears ahead of the competition. How to target, remarket, copywrite, and optimize on adwords - I spend 6-figures per MONTH on Adwords, and have been for years. I understand the platform perhaps better than anyone on the world, and have used it extensively for advertising products for years. I teach you everything I know about the platform, in an extremely detailed manner. Enjoy. Affiliate campaign examples - You'll get a few over-the-shoulder examples of me working on campaigns for investment, weight loss, and domain hosting niches. Again, if you are an aspiring marketer of any sort, these are the best videos on Adwords that are available anywhere. 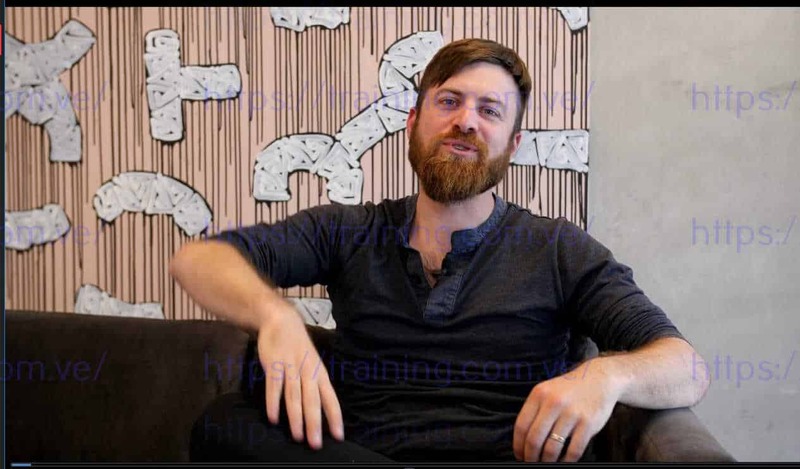 How to structure your campaigns on facebook - Master facebook marketer Tim Burd shows exactly how to structure facebook campaigns for the maximum amount of success. Tried, tested, and true. Advanced Custom Audience Monetization Strategies - Custom audiences are the most powerful targeting method that has ever been invented or used in the entire history of the world. Facebook's artificual intelligence and algorithm for determining exactly who will purchase a particular product has revolutionized marketing, and we detail exactly how to make the most use of it. Facebook ads case study in the woodworking niche - I chose a weird, small niche to get a profitable ads campaign running on, just to demonstrate the power of my facebook advertising methodologies. Watch over my shoulder as I build this campaign from scratch and get it profitable. How to stay compliant on facebook with affiliate ads - A lot of affiliate marketers have problems with facebook, because they claim that facebook doesnt like affiliate marketers, and that facebook shuts down their accounts. Both myself and Tim Burd go over the reasons why this is not a problem for us, and how you too can avoid these sorts of problems. What is native advertising? - I explain exactly what native advertising is, why its such a large yet unknown source of advertising, and how to effectively use it. The Most Expensive Mistake Most Native Ads Affiliates Make - I go over all of the major mistakes that affiliates make who try to use native advertising as a traffic source. How to scale affiliate campaigns - Once a campaign is profitable, the most important thing to do is scale the campaign from $100 profit per day, to $10,000+ profit per day. Sometimes this is not as simple as simple raising your campaign budget, and I discuss the different forms of scaling, both horizontal, and vertical, and when to use them. Outsourcing as an affiliate marketer - As many affiliates' profits grow, so do their needs for design, development, optimization, and adminstrative work in their companies. I discuss the best methods for outsourcing from my own experience of running teams. Working with designers/developers - Web designers and web developers have a distinct and particular language they use to communicate. If you do not know how to properly talk to them, use their words and language, you can end up wasting a lot of money. Dont waste money, and watch these videos. Hiring/managing media buyers - As your company grows further, you may want to bring on junior ad buyers to manage your own advertising campaigns, or launch affiliate advertising campaigns for you. I detail this process from my own experience of running a 500k per month media buying team. It takes one big variable out the equation, which is on every single affiliates mind: "Am I targeting the right audience?" Not having to worry about that question, has made my life loads easier, and allowed me to focus on the most important aspect of marketing: the ad. When you become a massive, advanced media buyer, you'll know that all the value in the world is in your lists. Blacklists are particularly important. Online advertising if fraught with massive amounts of fraud... it is one of the biggest problems for marketers who want to advertise online. Every marketer keeps a swipe file... it is one of their most closely guarded treasures. This is because a marketers swipe file is filled with all of the special ads that he uses to base the rest of his ads off of. Every marketing campaign begins with a 'control', or an ad that has already been proven to work. The best marketers aren't original... in fact they are INCREDIBLY unoriginal! Everything is based off of ads in their swipe file. Prebuilt lists of buyers' so that you can build custom and lookalike audiences in facebook.